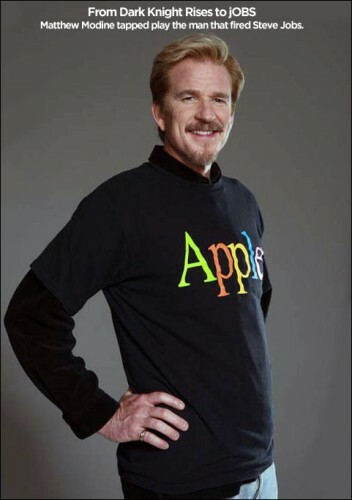 Matthew Modine will play John Sculley, the former Pepsi-Cola CEO whom Jobs recruited to lead Apple in 1983 in the new Steve Jobs biopic entitled jOBS, starring Ashton Kutcher as the late Apple founder. Sculley and Jobs had clashed in their respective roles at Apple, leading to Jobs’ firing from the company in 1985. Sculley served as Apple’s CEO from 1983 to 1993.
jOBS will be released late Fall 2012.